New T7FR Trailer Breakdown! Rage Attacks and Akuma EX Explained! Namco released a new T7FR trailer last night that shows off the new Rage ATTACKS system and also showed off a bunch of Akuma’s EX meter system. 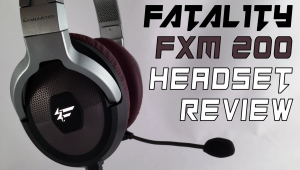 Check out the video below for my full breakdown, including the new movelists! TEKKEN 7 Fated Retribution HD Trailer and FULL Breakdown! 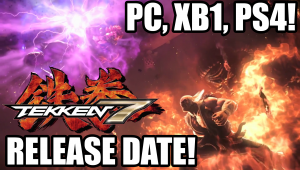 Tekken 7 Arcade Trailer Revealed! New Gameplay Footage! 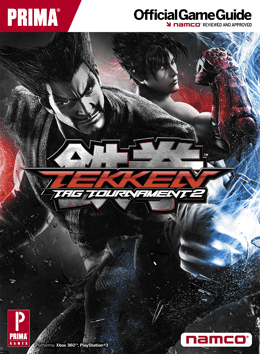 Check out this new trailer for Tekken 7 Arcade Trailer from the official Tekken youtube page. Not a whole lot of new stuff, but its always nice to see direct feed footage of the game at high resolution! Power Crush and Rage Arts also seem to function the same way from this trailer. Theres a small clip of Hwoarang’s Rage Art near the end as well! It also is pretty interesting that they released it as 1080p60 footage on Youtube. 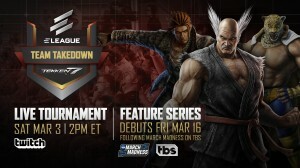 HMMmmm..
Official new trailer for Tekken Revolution! Shows a new gameplay mechanic as well as stats that can be leveled up per character. The new gameplay looks like an invincible launcher/crush system addition. Looks very promising, what do you guys think?